Minna Allison and her husband, Andrew have lived in Peters Township since 1999. They have three children, Cecelia, Grant and Teddy. Mrs. Allison graduated from Washington & Jefferson College in 1989 with a bachelor’s degree in history and then earned a law degree from Temple University in 1992.Upon graduating from law school, Mrs. Allison served as a judicial law clerk for 3 years in Philadelphia and then as a litigator in a corporate law firm.After moving back to the Pittsburgh area, she practiced law downtown in the field of civil litigation. In 2002, Mrs. Allison left the daily practice of law to raise her children and become an active volunteer in our Peters Township community. Mrs. Allison has served on PTA boards, including 2 terms as high school PTSA President and 2 terms as Vice President.She has been an active volunteer in four different buildings of our school district. For the past 13 years, Mrs. Allison has served as a PTA Assemblies Chairperson at both Bower Hill and McMurray Elementary Schools, and in that capacity organizes, plans and negotiates with outside vendors to bring quality programs to our students, which enhance and enrich the curriculum. 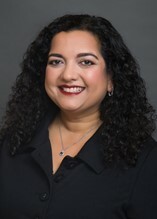 Prior to being elected to our school board, Mrs. Allison was a regular participant at school board meetings and served on several curriculum and school board committees, including the Math Curriculum Committee, the Language Arts Curriculum Committee, the High School Final Exam Committee and the High School GPA Committee. Mrs. Allison is active with St. Benedict the Abbott church and has been a Faith Formation teacher.Mrs. Allison is a member of the Washington County Bar Association and continues to sit as a civil arbitrator. Bachelors degree from Penn State University in Prelaw and a Juris Doctor degree from the University of Pittsburgh School of Law. After serving in a Federal Judicial Clerkship in Buffalo, N.Y.
upon graduation from law school, she returned to Pittsburgh to practice law downtown for approximately nine years before leaving the practice to raise her two children. Lisa has lived in Peters Township with her husband, Steve, and children since 1999. Rebecca Bowman and her husband, Jeffrey, have lived in Peters Township since 1983. Their sons, Eric and Joshua, both graduated from Peters. Since 1986, Rebecca has maintained private practices in forensic civil engineering, law (focusing on real estate, estate planning and administration, small business formation, human resources, and construction disputes), arbitration, and mediation. She is a published author. For more than a decade, she has served on the Construction Appeals Board. Prior to joining the School Board in 2013, she was a founding parent of the championship Peters Township Fencing Club. In addition to her former role as MathCounts coach, she tutors and mentors a wide variety of academic activities across the District. She is very active at Thomas Presbyterian Church. She has a B.S. in Civil Engineering from the University of North Dakota, an M.B.A. in International Finance from Oklahoma University, and a J.D. from Duquesne University. Hailing from Richmond, VA, Rolf Briegel graduated from the University of Virginia in 1991 with a degree in environmental science and a minor in astronomy. After serving as a Naval Officer for 4 years, he moved to State College where he pursued his teaching certificate from Penn State and began his teaching career at State College High School before moving to Peters Township in 2000. Rolf and his wife Lisa have a daughter and son who are Peters graduates, and a son who is currently a District student. Since moving to the area, Rolf has taught every earth, space, and environmental science course Mt. Lebanon High School has to offer. He earned his master’s degree from California University of Pennsylvania in 2008, has served as a PSAT/NMSQT Coordinator and SAT Test Center Supervisor at Mt. Lebanon since 2012, and picked up a driver education / safety education certificate from Indiana University of Pennsylvania in 2013. Mr. Dunleavy graduated from Peters Township High School in 1977 and went on to graduate from Washington D.C. JATC School. He is currently employed as the Manager of Electric Technologies and is an instructor for IBEW/CCAC Electrical Construction Technology Associate Degree Program. 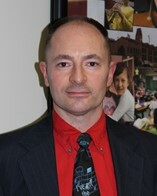 Mr. Dunleavy serves as the Peters Township School District Chairman of Buildings and Grounds Committee. He and his wife Rhonda have five children who are all gradutes of the Peters Township School District. Dr. Jamison Hardy and his wife Wendy have lived in Peters Township since 2000 with their three children Noah, Nathaniel, and Naomi. Dr. Hardy joined the School Board in 2013 and has served the community in various capacities such as Peters Township Character Counts committee, McMurray Rotary, Peters Township Youth commission, and has coached Wrestling and Football. He has a Bachelor’s degree in Secondary Education, a Masters degree in Divinity, a Masters in Public Policy, and a Doctorate in Business Administration. Dr. Hardy has served in various roles in large nonprofit corporations boards of directors locally and nationally. 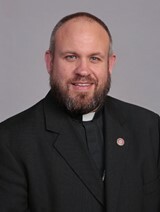 He currently serves as Bishop/President of the English District of the Lutheran Church Missouri Synod. 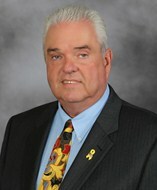 Thomas McMurray is a lifetime resident of McMurray and a graduate of Peters Township High School. 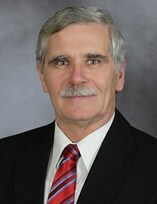 Since joining the Board in 1983, he has served as President for 8 years, Vice-President for 5 years, and has chaired the Finance Committee and Personnel Committee for several years. He has been a member of the Intermediate Unit # 1 Board of Directors since 1994 and held the offices of President, Vice President, and Treasurer. Mr. McMurray graduated from Davis and Elkins College with a degree in Business Administration, and is a Certified Public Accountant and a Chartered Global Management Accountant. 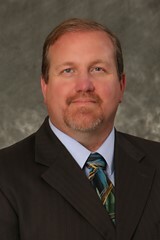 He is employed by Golden Eagle Equipment Company as Vice President and Chief Financial Officer. Mr. McMurray has volunteered as an emergency medical technician and Director with the Peters Township Ambulance Service since 1969. He and his wife Sandy have three children, Michael, Matthew, and Melissa and three grandchildren. 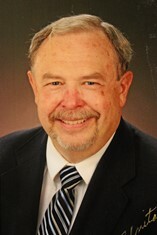 William (Bill) Merrell has lived in the Venetia area of Peters Township with his wife Monica (a local councilwoman) since 2004. Bill is a 1968 graduate of PTHS and since moving back into the township he has served the community as a councilman and currently hosts two local cable programs that can be seen on the Peters Township Cable channels. Prior to getting elected onto the school board, he participated on the PTSD Curriculum Committee in the area of Social Studies and now is the Vice Chair of the Policy Committee. While serving in the Air Force, his last 13 years were spent as Superintendent of the Disaster Preparedness (Chemical, Nuclear and Biological Warfare) and he retired as a Senior Master Sergeant after 20 years of service. Post retirement, he took on the roles of Director of Safety and Security for A&L Inc. in Belle Vernon, PA and then as the Mid-Atlantic Regional Safety Manager for Weeks Marine Inc. in Portsmouth, VA for the next 16 years. Bill has recently retired from teaching after instructing in the area of 8th grade Civics and Government. Mr. Merrell holds dual teaching certificates in the areas of Social Studies and Instructional Technology. He has a graduate degree in Secondary Education from Duquesne University and a dual Master’s in Geography and Regional Planning from the California University of PA. He is continuing his education towards a post graduate degree in Social Studies at the current time. Bill had completed a Bachelors’ degree from the University of Pittsburgh in Legal Studies and an Associate’s Degree from the Community College of the Air Force in Safety Technology. Mr. Taylor and his wife Kristin have been residents of Peters Township since 2006. They have three children currently enrolled in the District and their oldest child is a 2014 graduate of PTHS. He holds his bachelor’s degree in mechanical engineering from the University of Pittsburgh.